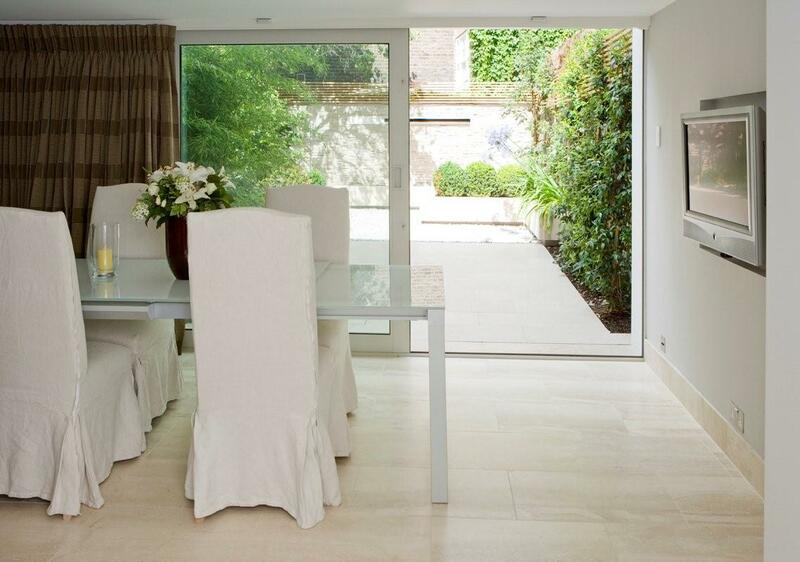 We were briefed on a full double-storey house redesign – including a double-storey glass extension. Working with the client, we created original features all over the house, hand-making or hand-sourcing finishes and fittings, always of the best quality, and always tailored to the needs of the space. 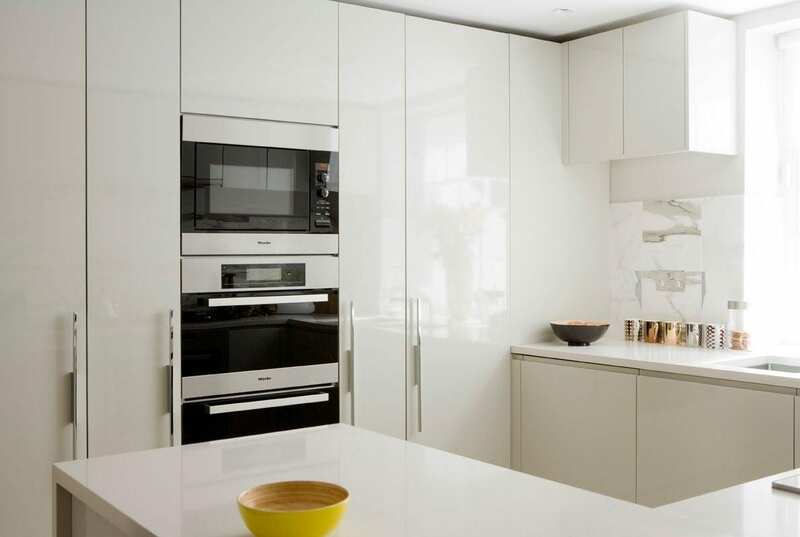 The open plan kitchen was made-to-measure in high gloss lacquer with marble tiles giving it the ultimate luxurious feel. Architectural handles add style and depth to a space that is comprised mostly of flat surfaces. 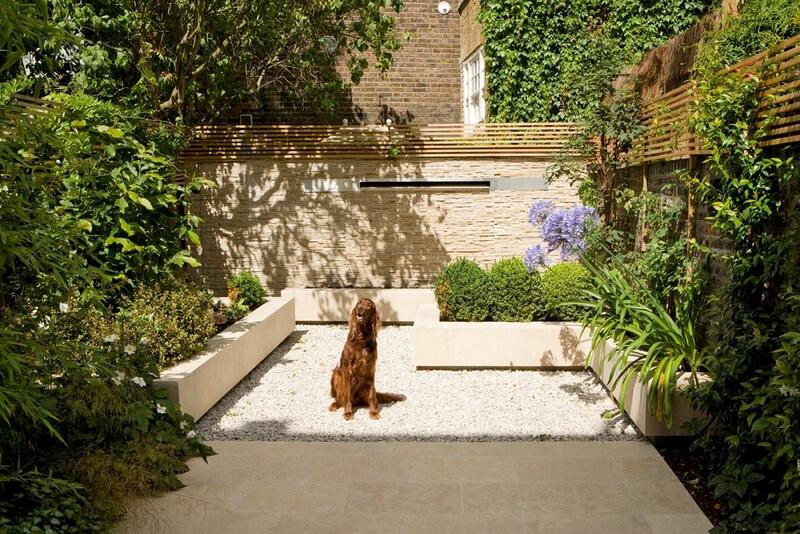 Large window panelling allows the natural light to flow into the space so you almost feel as of you are in the garden. 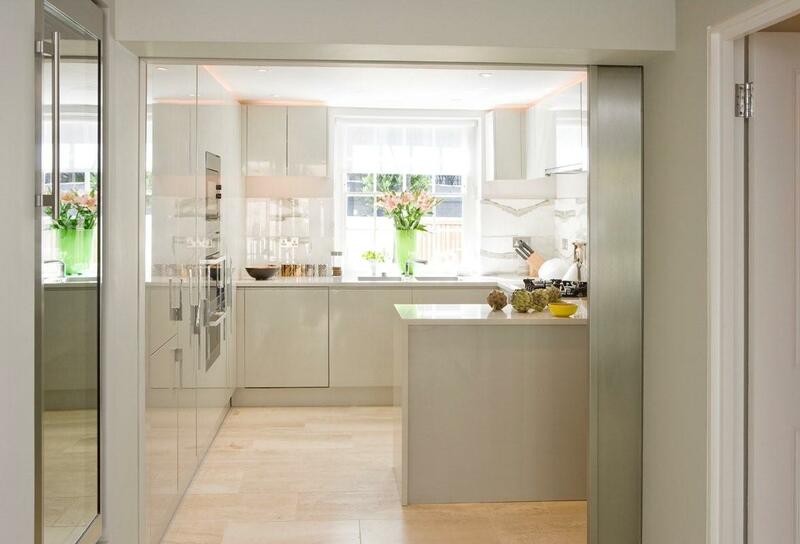 The client wanted to enhance the space so they had a large space to cook and move around in. A combination of pull out larders were built to size, shape and style. 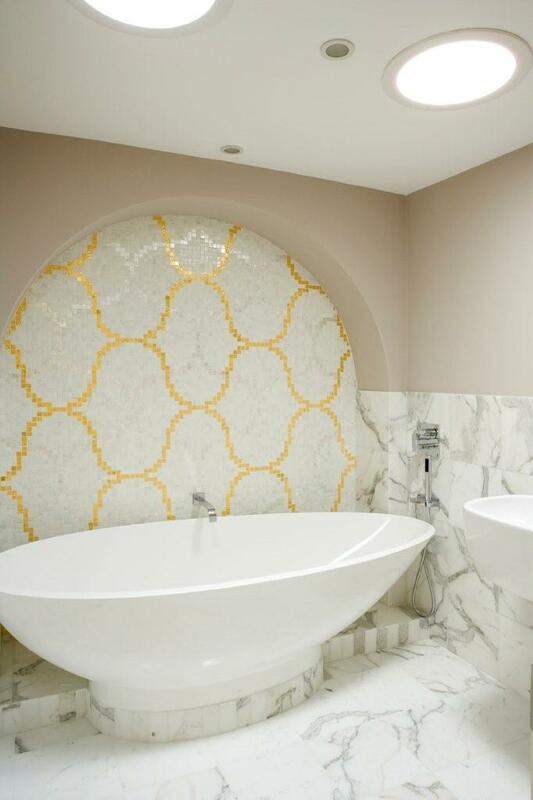 Gorgeous gold and champagne tones instantly conveys a sense of opulence in this bathroom. Highlighting the arched alcove created a striking feature that helps to tie the look together. 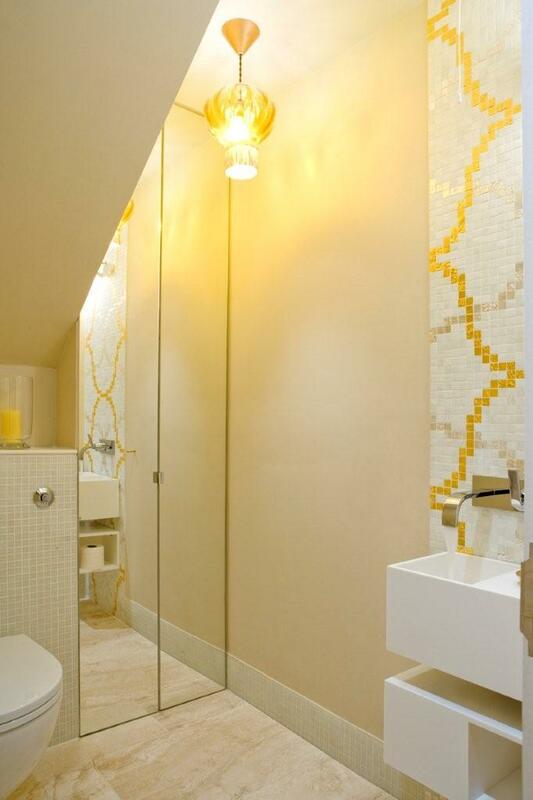 The use of pendant lighting exaggerates the golden colour theme. 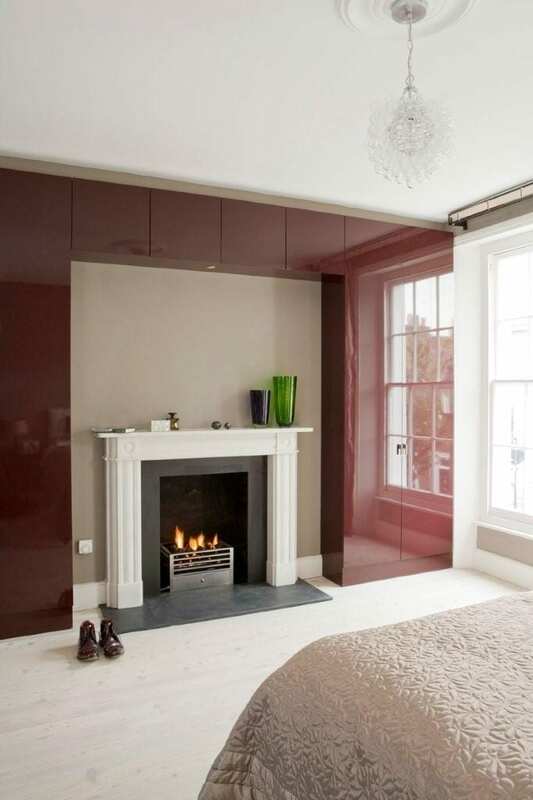 The high gloss bespoke wardrobes ooze sophistication with the burgundy colour. The fitted wardrobe achieves a minimal look helping to maintain a neat and tidy look in this couples master bedroom. 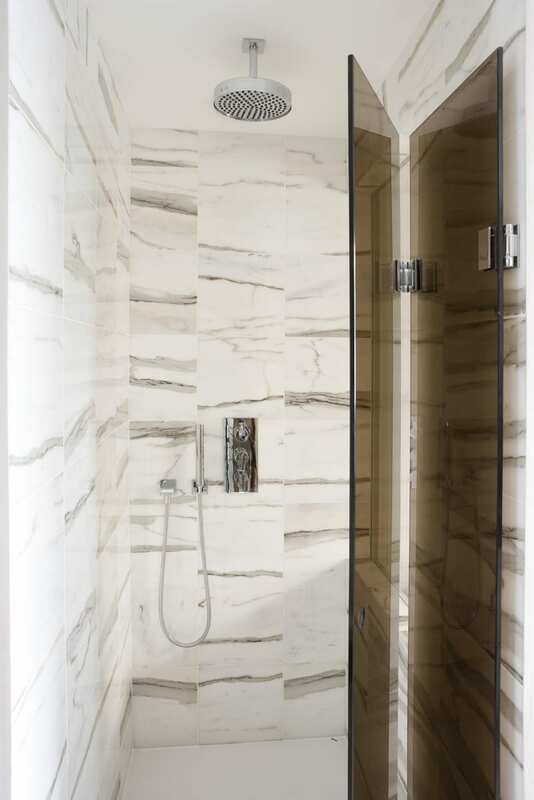 This en-suite shower room has a marble worktop built underneath the mirrors with marble splash back to bring rich quality to the space. 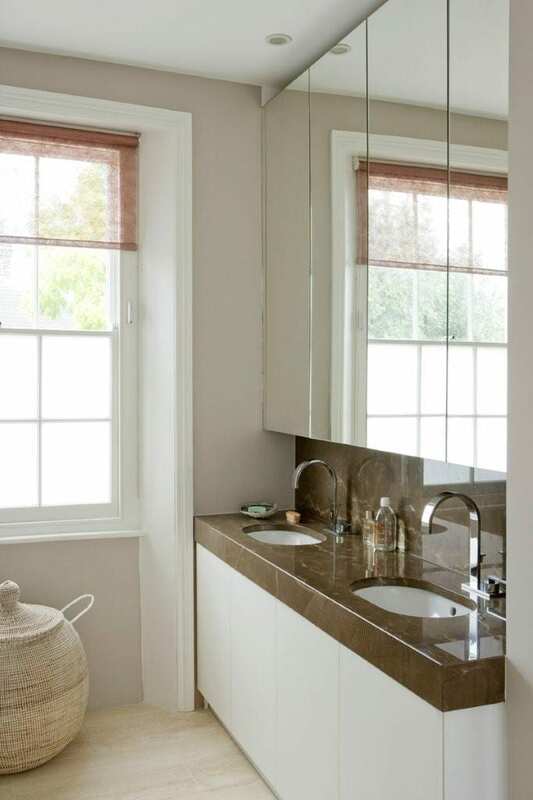 The vanity unit provides additional storage. The garden has an attractive the water cascade feature that has been built into the back wall.